This entry was posted on March 19, 2019 by 034Motorsport. 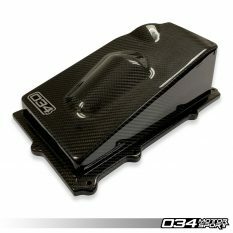 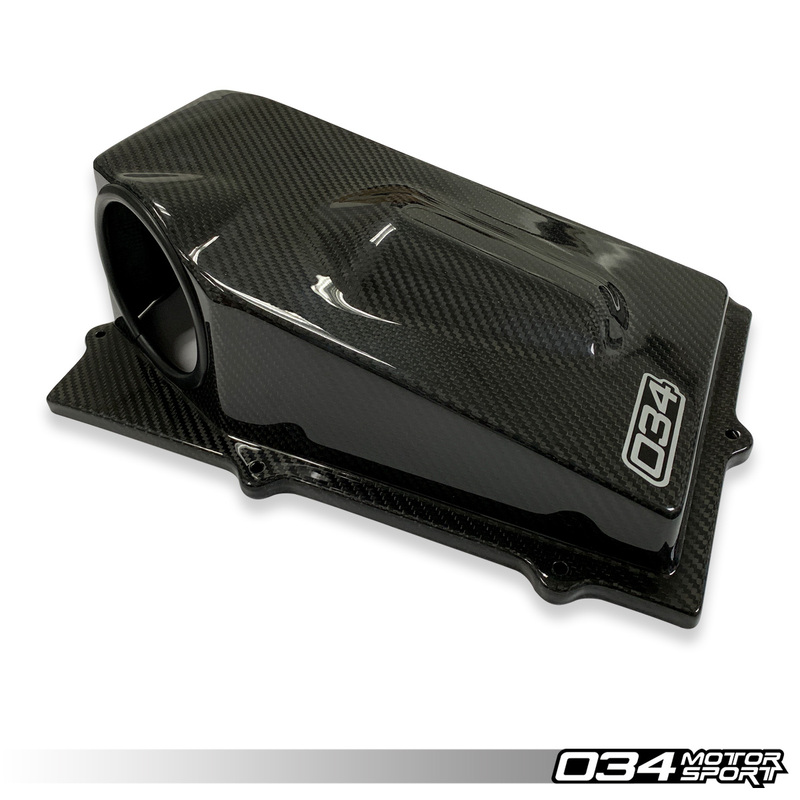 034Motorsport is pleased to present our X34 Carbon Fiber Audi 8S TTRS and 8V.5 RS3 Closed-Top Cold Air Intake Airbox for the 2.5 TFSI EVO! 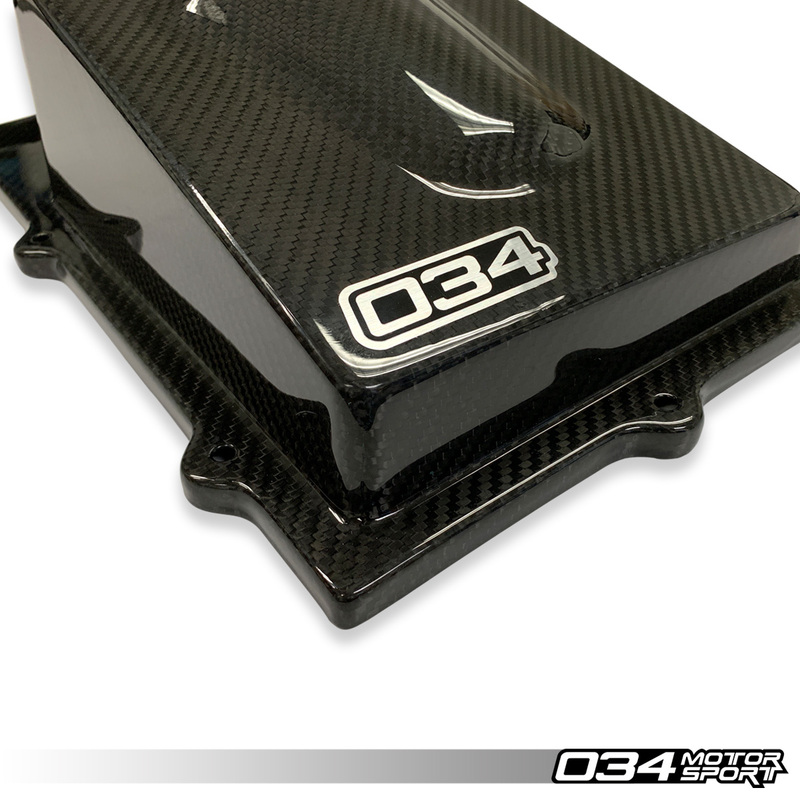 We have made this airbox available to customers that purchased the open-top cold air intake system (034-108-1015) and want to purchase the closed-top version of this airbox to change up the look of their engine bay. 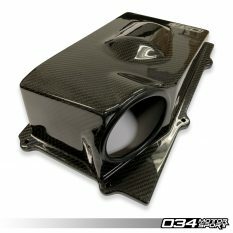 This is not a complete cold air intake system. 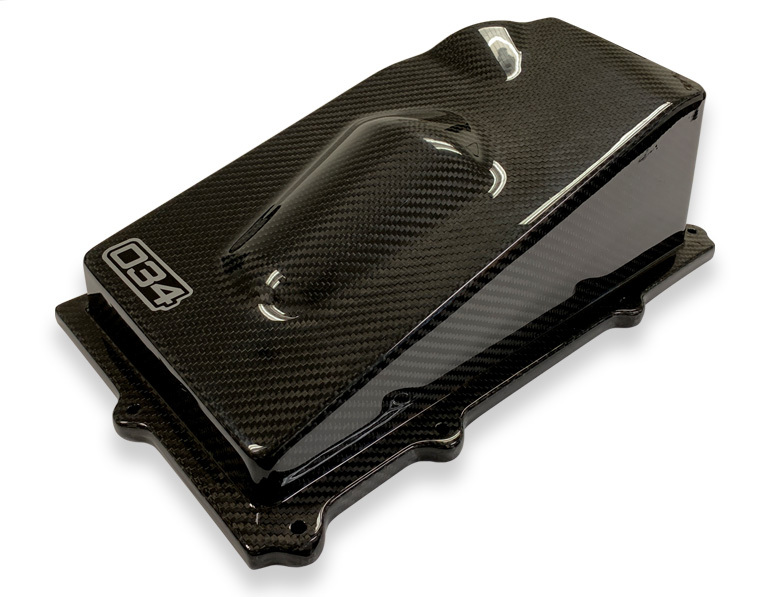 This is only the closed top intake airbox to be used in conjunction with the X34 Carbon Fiber Audi 8S TTRS and 8V.5 RS3 Open-Top Cold Air Intake System for the 2.5 TFSI EVO. The complete closed-top cold air intake system for the 8S TT RS and 8V.5 RS3 can be found here.